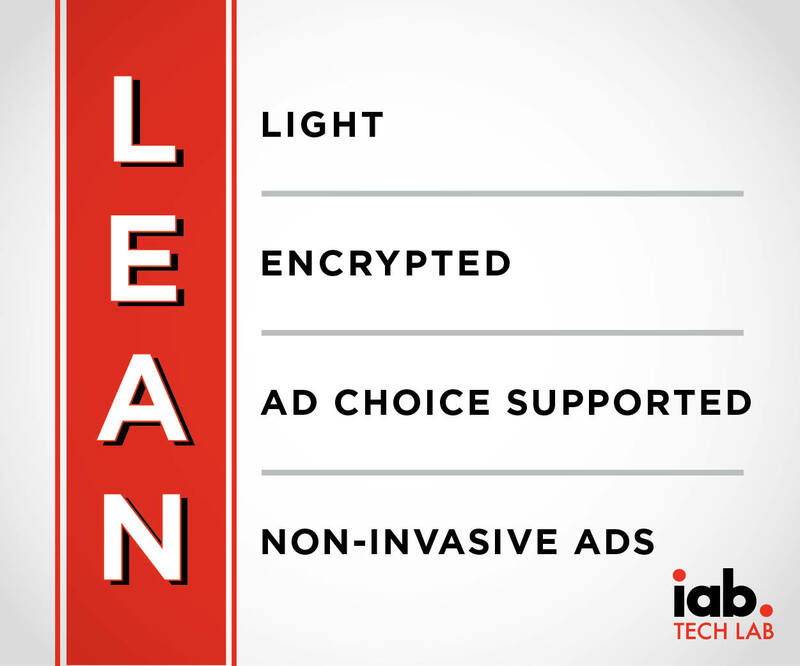 LEAN is the Interactive Advertising Bureau’s new standard for online ads that it believes are less obnoxious. As ad-blocking plugins become increasingly popular, the online ad industry is realizing that maybe it shouldn’t have helped to create an environment where ads bog down, interrupt, annoy, and track users. “We messed up,” begins a statement by Scott Cunningham, Senior Vice President of Technology and Ad Operations at the Interactive Advertising Bureau, a trade group whose members account for around 90% of the ads you try to ignore every day. “As technologists, tasked with delivering content and services to users, we lost track of the user experience,” explains Cunningham. Following the collapse of the first dotcom bubble, online ads became the primary way to support the subsequent rise of blogs, online news, and social media. Consumers want — and receive — all manner of information and entertainment, and they have rarely had to pay for it because those websites make their money through ad revenue. But at the same time, the ad industry demonstrated a nearly fatal level of hubris. In other words, the ad industry has no one to blame but itself for the rise of ad-blocking technology. People didn’t really care about banner ads to begin with. They were just like ads in a magazine or newspaper; read them if you want to. But then the ads began tracking you from site to site, which creeped out some consumers who value their privacy. It’s one thing for your favorite pizza place to know that you always order a pepperoni slice; it’s another to walk into a shoe store and find out they know you always wear loafers instead of lace-ups because someone at the pizza place noticed your footwear and sold that information. Even those who didn’t care or notice these invasive ads might have been driven to ad-blockers because online ads often slow down the browsing experience. How many times have you gone to a website that won’t load fully because your device is trying to connect to some complicated URL that you’ve never heard of? That’s almost always an ad network. And then there are video ads — especially auto-play video ads — that effectively ruin the user experience when they aren’t expected. It’s so bad that we at Consumerist now warn users when we link to a page with auto-play video. Another reason to use a plugin that blocks ads or requires the user to affirm that they want to see a video. The problem is that every time someone uses an ad-blocker, it’s a little less money made by the site being visited. Some believe this is no different from sneaking into a movie theater or pirating a music file. “We lost sight of our social and ethical responsibility to provide a safe, usable experience for anyone and everyone wanting to consume the content of their choice,” he writes. The IAB’s plan is to launch what it dubs the “L.E.A.N. Ads” program — which stands for “Light, Encrypted, Ad choice supported, Non-invasive” ads, an alternative set of standards that IAB contends are more consumer-friendly. One of the problems that LEAN intends to address is ad retargeting, the practice of hitting the same user with the same ads across multiple platforms. Cunningham says the industry needs to “make sure a user is targeted appropriately before, but never AFTER they make a purchase,” meaning that once you’ve given in an bought those stupid speakers that keep showing up in your ads, you won’t be repeatedly bothered to buy them. Another issue, says Cunningham, is the sheer volume of ads one encounters on a single web page. Too many ads can bog down load times and make websites difficult to view.